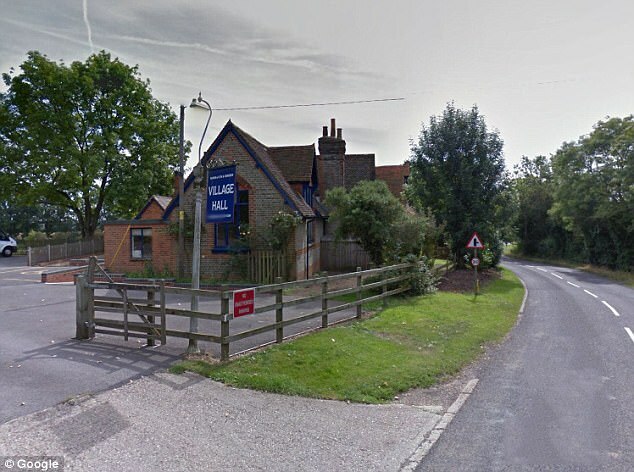 Well-rotted manure and a football by Pele are among the lots in an auction to raise money for the village hall in Sonning Eye. George Clooney has already donated £1,000 and now here’s your chance to chip in to save a Victorian village hall. The Hollywood star who lives in Sonning Eye is supporting the £400,000 renovation of Dunsden village hall in the parish of Eye & Dunsden. 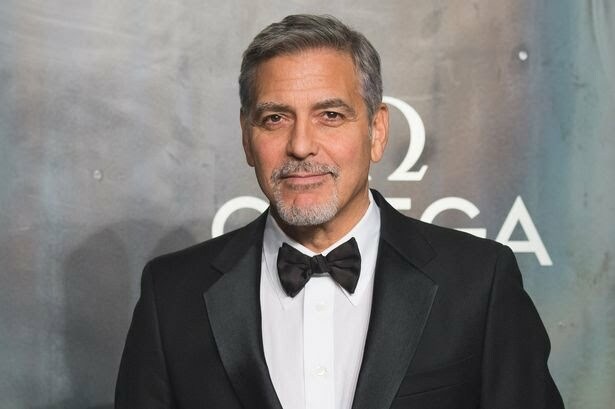 Mr Clooney’s donation will be added to the proceeds of an auction of promises to be held on Saturday, June 10 at Loddon Brewery. Bidding is already open online and will continue at the brewery on the night. Top lots include a dinner for two and overnight stay at the Great House in Sonning, an original composition by Reading composer David Breeze and a sculpture by Nicholas Marks, an artist who spent years studying the human form as an ear, nose and throat surgeon. A topical lot is a picture of Marlow Lock, painted by artist Richard Ennis in 2016 as a preliminary study before he completed a commission for a 60th birthday gift for Prime Minister Theresa May . Mr Ennis, an art teacher at Reading Blue Coat School in Sonning, has donated the work. Other lots include a football signed by Pele, theatre and dinner tickets, osteopathy and sports massage sessions, a helicopter ride horse riding lessons and sacks of well-rotted horse manure. The £15 auction ticket price includes a welcome drink and Nepalese food. Dunsden Village Hall in Dunsden Way is used as a kindergarten and by community groups. The renovation will include widening the main hall with a sun-room leading to a new terrace which will increase the capacity from 60 to 100 people. The parish council hopes a new foyer, unisex toilets, improved kitchen facilities and upgraded heating and windows will make the hall more attractive as a venue for business meetings, weddings and family parties. George, who lives in the village with wife Amal, touched villagers hearts when he visited Pat Adams at her Sonning care home on her 87th birthday . 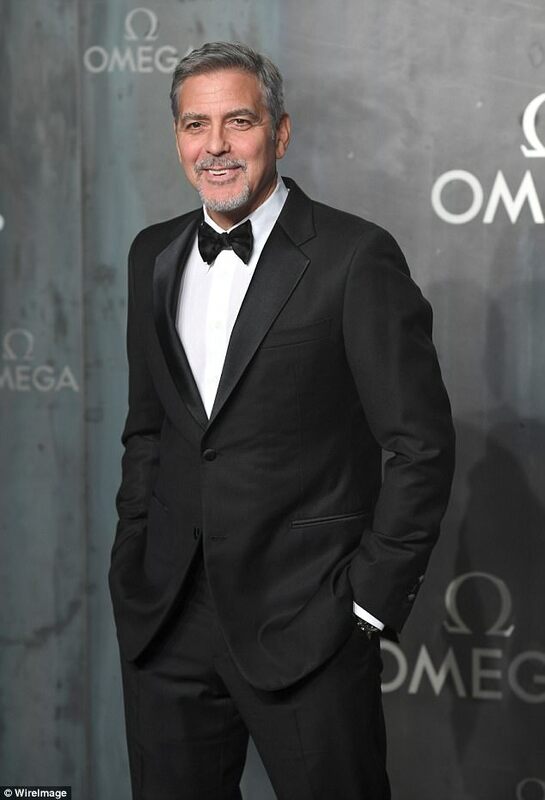 It would appear George Clooney has no problem in settling into village life. The Hollywood star, who lives in Sonning, Berkshire, has bolstered a renovation of Dunsden Village Hall by making a £1,000 donation to the community drive. The 55-year-old actor's contribution to the £400,000 scheme is set to drastically improve facilities at the cherished community asset. His generous donation will be added to the proceeds of an auction of promises to be held on Saturday June 10 at the local Loddon Brewery. It is by no means his first act of kindness after the Oceans Eleven actor made one elderly resident's birthday extra special, in March. On receiving a number of letters from staff as well as the care home's newsletter, the five-time Golden Globe winner stopped by the Sunrise Senior Living - much to 87-year-old Pat Adams' disbelief. Speaking to MailOnline, Malcolm Hague, Divisional Support General Manager at Sunrise of Sonning, said: 'We are so delighted that Pat's wish came true. 'She was absolutely thrilled to meet her great icon, and it was such a lovely surprise to see George greet her with flowers and a card. Other lots at next month's auction include a football signed by Pele, theatre and dinner tickets, osteopathy and sports massage sessions, a helicopter ride horse riding lessons and sacks of well-rotted horse manure. The village hall's revamp will also include the widening the main hall with a sun-room leading to a new terrace which will increase capacity from 60 to 100 people. It comes ahead of the arrival of George's twins, with wife Amal, 39, due to give birth in June. Speaking to French programme Rencontres de Cinema in February, he said his friends were 'very supportive' of the news, despite having given him a hard time at first. This is a village just up the road from Sonning and obviously they share some facilities. Who'll make the first bid????? Because who doesn't need sacks of well rotted manure in their life, right?